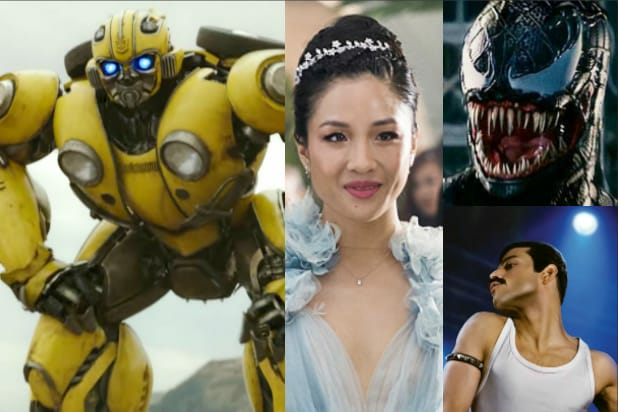 The overall box office for 2018 has been on fire so far. “Jumanji: Welcome to the Jungle” kicked off the year with a bang, Marvel released two of the biggest box office success of all time, and Disney accounts for more than a third of this year’s domestic grosses, which topped $6 billion at the fastest speed in industry history. But now the release slate enters a much more uncertain period — to say the least. 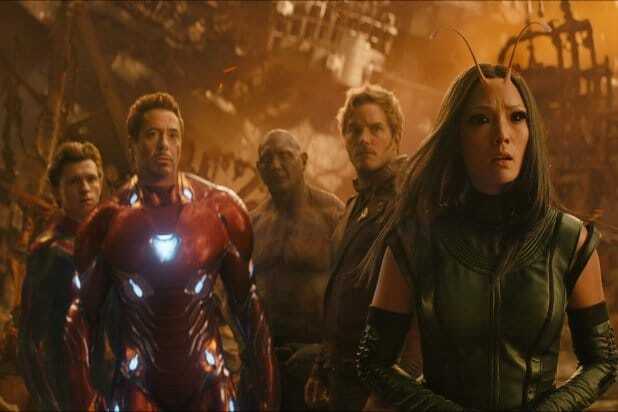 Between now and the start of the holiday season — around Thanksgiving — it’s unlikely that movie theaters will see another film like “Avengers: Infinity War” or “Jurassic World: Fallen Kingdom” that can guarantee an opening weekend of more than $100 million. The $76 million opening for “Ant-Man and the Wasp” has signaled the start of a period marked by smaller-budget, big studio films and less-hyped blockbusters. “Wasp” may end up being the highest opening this month as tracking for “Mission: Impossible — Fallout” is currently topped out at $60 million. But analysts say a slow down isn’t necessarily a bad thing. “If there was ever a time for a period like this to come around, it’s now, after so many big hits in the first half of the year have put us well ahead of the pace of previous years,” said comScore analyst Paul Dergarabedian. While popcorn flicks and family titles won’t be completely giving up their hold on the summer — in addition to “Fallout,” films like “The Meg” and “Christopher Robin” are due out in August — there will also be auteur-driven, socially-minded films that will try to find strong word of mouth. Annapurna’s “Sorry to Bother You” is a prime example, which begins its wide expansion this weekend. July will see Daveed Diggs and Rafael Casal’s “Blindspotting,” released by Lionsgate, a film that digs into the struggles of the black community in a gentrifying Oakland, Calif.
Then, in August, Focus Features will release Spike Lee’s Cannes hit “BlacKkKlansman,” followed a week later by Warner Bros.’ “Crazy Rich Asians,” taking up the banner for a renewed push for more Asian representation in Hollywood. Warner Bros. could certainly use another success. After grossing $2 billion domestically last year, thanks to hits like “It” and “Wonder Woman” — both of which have sequels coming in 2019 — the Burbank studio has found itself tied with Fox for third among all studios with only $730 million through the halfway point. Fox is in a similar situation, with a second-half slate that doesn’t hold anything on the level of “Deadpool 2.” The studio will bring back “The Predator” under the direction of Shane Black, but after the disappointing numbers of “Alien: Covenant,” there’s no guarantee that bringing back the creatures of horror’s past will bring success for Fox. Also coming up are Drew Goddard’s “Bad Times at the El Royale” and Robert Rodriguez’s “Alita: Battle Angel,” two original, auteur-driven genre films that audiences don’t always turn out to, if “Blade Runner 2049” and “Annihilation” are any indication. Perhaps Fox’s best chances at success come with “Bohemian Rhapsody,” which stars Rami Malek as the legendary singer for Queen, Freddie Mercury. Universal should continue to have a solid year, with Illumination’s adaptation of “How The Grinch Stole Christmas” and the return of Jamie Lee Curtis to the “Halloween” franchise coming in the fall, while “First Man” and “Welcome to Marwen” serve as the studio’s prestige offerings. Without a surefire hit, it’s not likely that 2018’s box office pace will stay 8.6 percent ahead of last year as it is right now. But if the pace can be kept above 3.5 percent, 2018 will set a new record for annual grosses, passing the $11.3 billion made in 2016.